We asked. You answered. 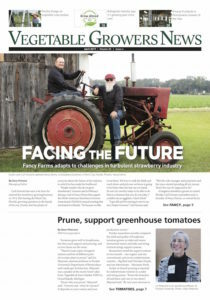 The results are in from the farm market survey conducted by Vegetable Growers News and Fruit Growers News. Download this special report to see how your farm market prices compare to others across the country. Are you looking to get into controlled environment agriculture? This report gives you the scoop on CEA — from market trends to insights from growers, see a few things to consider as you make your decision. Plus, access the “Under Control: Tips for Controlled Environment Growing” special issue. As growers make an effort to find sufficient labor, some have turned to the federal H-2A guest worker program to supplement their workforces. Download this wage rate special report to see the minimum wage rates that must be offered and paid by employers.